Having a clean space and putting things in order have been proven to be calming, even to the point that they can help with anxiety. 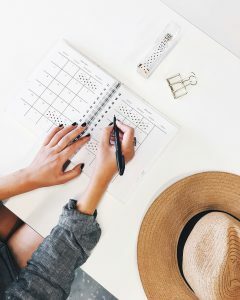 Sometimes, the most nerve-wracking part about getting organized is figuring out where to start, especially if your things, schedules, and thoughts can best be described as being in a state of chaos. There are different ways to approach organizing, and the list below offers several ways to start. Video Media Netflix very conveniently released the first season of Tidying Up with Marie Kondo on New Year’s Day, a day of new starts. For some, that can mean deep cleaning their homes and closets, providing a fresh and clean beginning to the year. The show follows titular host Marie Kondo, the founder of the KonMari method, as she goes to different homes and helps people organize their spaces using her system. Not only is it calming to watch, but it helps give tips on how to apply it to your own lifestyle. 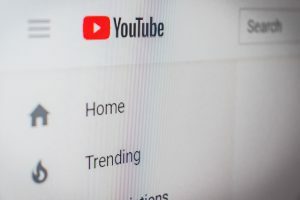 Home organization and design is also its own niche on YouTube as well, and there is no shortage of videos that feature home tours and organization tips that you can use for inspiration adapt for yourself as well. Apps Smartphones are already equipped with calendars, notepads, and reminder apps where you can list your to-do lists at your own convenience. If you use the calendars associated with your email, you can sync them to the calendar on your phone, which can then give you alerts for when those events are about to begin. If you want more variety however, apps like My Study Life, Habit List, and Awesome Note are other alternatives to consider. They’re color coded, easy on the eyes, and there to help you find ways to develop any new habits you may want to begin. Notebooks and Planners Writing things down has been proven to be more effective than typing down notes. There are fewer distractions, and the information written down processes stronger in your memory, for example. The styles and types of notebooks you can use are infinite, and it shouldn’t take long to find one that works for you and matches your style. You can bullet journal if you want to get more creative, plan in a regular calendar planner, or simply take a ruled notebook and write your tasks there. Do you use anything to make sure you stay organized? Do you like to use anything for inspiration? What tips or recommendations do you have?